Get your aprons on & get baking, it’s back again for another year & lets see if you can out bake your amazing efforts from 2015! Remember, your muffins & cakes can be sweet or savoury & your showstoppers can be as creative as you like. This year awards will be made for the best decoration as well as the overall best tasting entries & the closing time is 11am so we can make all the awards before the start of the fair at 12. 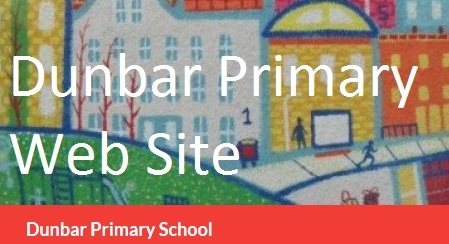 Mums, Dads, Grandparents, Grammar School siblings & everyone in Dunbar Primary from Nursery – P7. Prizes include: Gift vouchers for local shops for children & adults, Meals vouchers for venues including The Dunmuir, beauty treatments, a Four Ball at Dunbar Golf Club & many more. We have certificates for the best in categories to take home and display. We need lots of volunteers to help us on the day, and we’re looking for anyone who can give an hour, 2 hours or a whole afternoon to help us raise lots of money for our school. We need help with setting up in the morning, manning stalls, serving coffee, cooking burgers (there’s bound to be some dads out there who love being in charge of a bbq) and generally keeping everything running smoothly so that we all have a great time. If you can give us any time at all please contact Tracy Gillespie or via the parent council facebook page and let us know how you’d like to be involved. Everyone has stuff in their cupboards that they have never used or will never use again. Please have a clear out and give us your bric a brac, books and never used toiletry sets and gifts for our stalls and tombola. And, finally, if you don’t have any time for any of that please just stick an extra bottle of wine in your shopping trolley this weekend and send it in to school next week you’ll be doing your bit to help us raise as much money as we can for your kids school. Thanks in anticipation, your exhausted but still enthusiastic School Fair organising team! The Parent Council have asked if any parents would like to donate empty (screw top with lid)/full wine bottles and raffle prizes to please hand into the office at John Muir Campus. They are also looking for volunteers to help on the day (please contact either school office). Look out the mixing bowls…. MAY 28th see’s the return of…. Last year you took everyone by surprise with your amazing baking skills & so this year we are going to be better prepared! There are prizes for the top bakes again this year but to reflect the incredible standard of cake decoration there will also be an award for the best decoration as well as the best tasting cake. This year we will close the entries earlier so we can judge most of the bakes before the fair opens and award certificates for the best bakes which you will be able to see on display at the start of the fair. Will yours be a winner? Can you all beat last year’s record breaking efforts? Get baking & see……..
All welcome to attend the Parent Council meeting on Tuesday 3 May at John Muir Campus at 7.00pm.